Farris Engineering Systems (FES) team of experienced engineers have the knowledge and experience to plan for every contingency. Using our iPRSM® software, they will design your facility’s relief systems with the latest technology and per current code requirements. iPRSM® incorporates a thermodynamic calculation engine to appropriately size your relief systems which will save you money now and headaches later. Monitor your pressure relief valves with the Smart PRV and leverage the technology of proven leaders, Farris and Emerson. Our Farris Engineering Services Team and iPRSM® technology will keep your pressure relief systems audited and in compliance. Use our web based software iPRSM® to evaluate the status of your facility’s existing relief systems. iPRSM® performs the relief valve calculations per current code requirements and will alert you to any current deficiencies. You can easily evaluate mitigation strategies using iPRSM to determine your best path forward while considering such factors as ease of implementation, cost, and associated downtime. In 1999 Farris Engineering was acquired by Curtiss-Wright Flow Control Company. Farris is a world leader in the design and production of a wide range of spring-loaded and pilot-operated pressure relief valves. They are used as safety devices to prevent over-pressurization of vessels, pipelines, and equipment. Sprague Products provides a variety of air-operated, high pressure pumps and boosters and pneumatic and hydraulic valves. In 2003, Farris Engineering Services began its development (from Imes Engineering acquisition). It offers integrated solutions for all phases of process safety management compliance programs, including iPRSM® for Process Safety Management Software for oil and gas as well as all other processing industries. 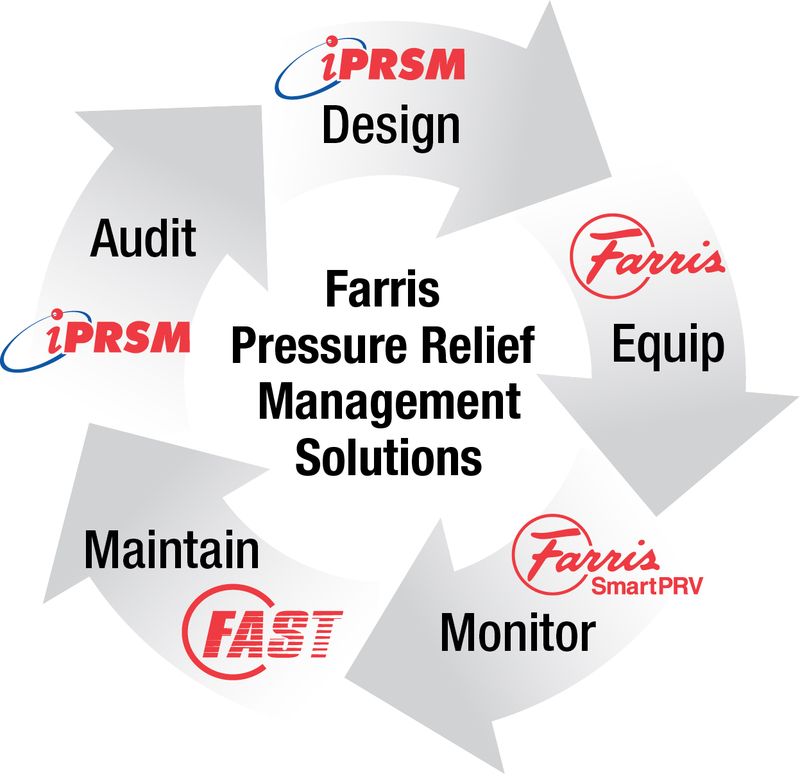 Farris Engineering Services was established as an independent company to provide iPRSM®, the most comprehensive one-source solution for Pressure Relief Systems Management. iPRSM® enables automated verification, analysis, documentation, and full compliance with regulatory codes and industry standards over the lifecycle of processing facilities. iPRSM®, also provides centralized management of live data from any location in the world, with a web-based platform that is both accessible and cross-platform enabled. Today, Farris Engineering Services has accumulated vast experience and comprehensive capabilities to make the complex and burdensome tasks of meeting the compliance requirements of process safety management (PSM) easier, faster, and more reliable. Combined with the worldwide resources of Curtiss-Wright Flow Control Services Corporation, Farris Engineering Services can provide your company with proven engineering solutions that didn’t exist just a few years ago.